Education is on my brain big time lately. I took 4 awesome classes at the conference this year. 2 with the amazing Vashti Braha; “Tunisian Eyelet Meshes” and “Tunisian Filet Lace”. My other classes were knitting and knooking. 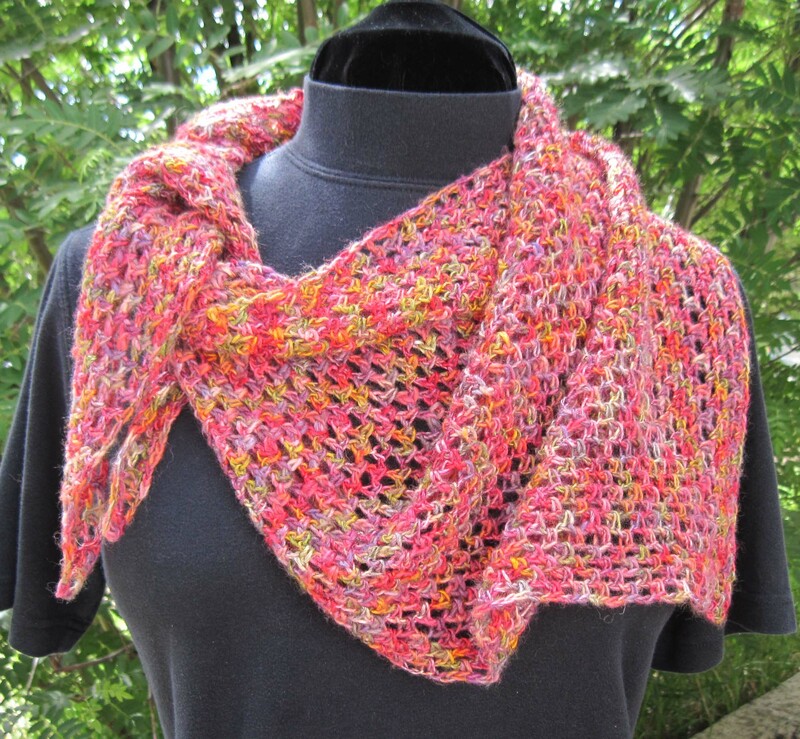 The knitting class was “Russian Style Continental Knitting” with Galina Khmeleva. My Saturday morning class was the eponymously named “Knooking” with my good friend and enthusiastic teacher, Karen Whooley. I’ll be posting more about all the great stuff I learnt in these wonderful classes soon. The main reason education is on my brain right now is that in less than 2 weeks I will be on the adventure of having a middle-school student. This also means either my husband or myself will be driving the boys down to Boulder every school day. That is anywhere from a 35 minute to hour-long drive. Just found out yesterday that my youngest’s school day will start at 7:50 a.m. Ouch! This means we will have to be on the road by 6:50 a.m. every morning. Now to some of you that might not seem such a big deal. Clearly you are morning people. I can not be described as such and neither can my oldest son. Himself and the youngest do a little better with mornings, but even they enjoy a later start to the day. This means I am giving a great deal of thought to the best ways to organize myself. The goal being to make mornings the least painful for all involved. There is a fun bit to all this back-to-school madness though. Going shopping for school supplies. We’ve acquired pretty much everything on the lists provided by the boys’ schools. 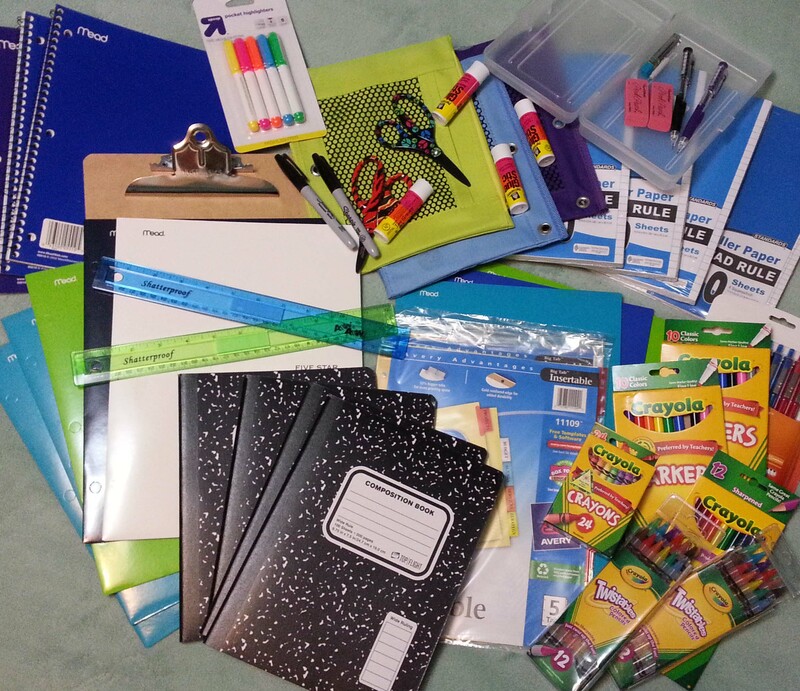 I’m thinking I might need a trolley to convey it all to the schools on the first day. 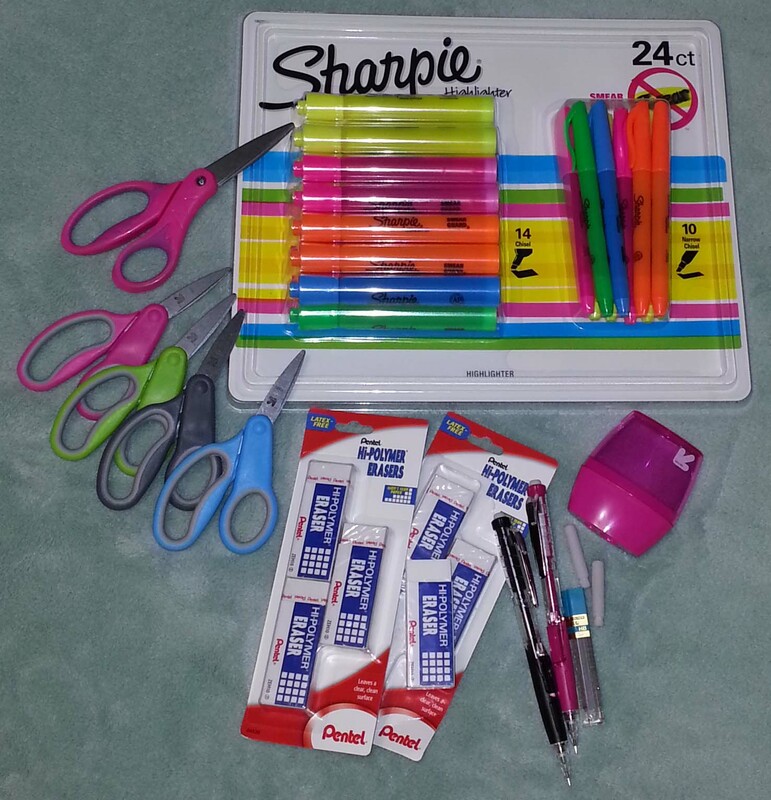 As always when the back-to-school sales are happening I acquire a few supplies for myself. 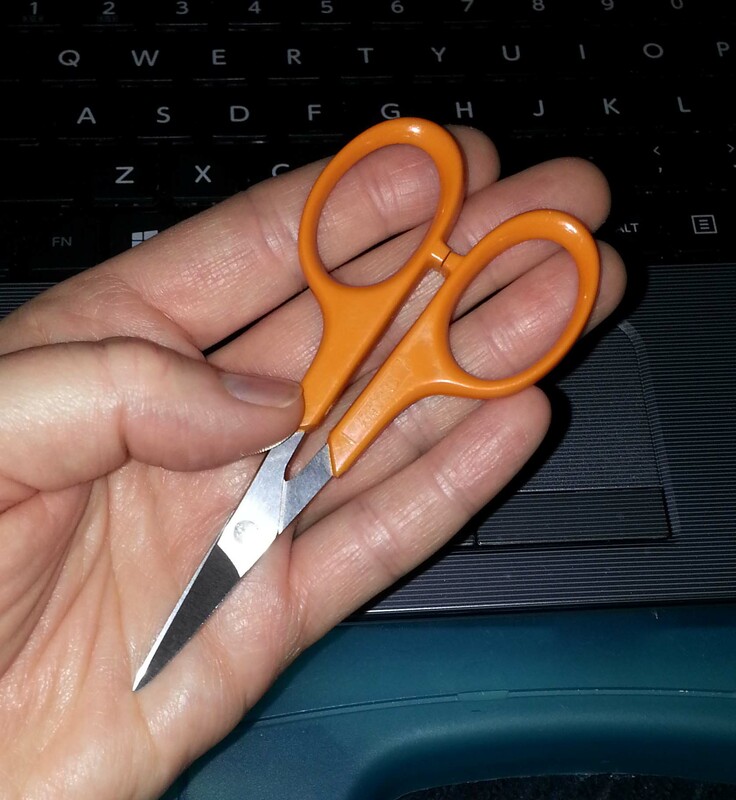 I especially like to get small scissors that I can take with me when I’m out and about and especially for air travel. Then if TSA decides to take my scissors I won’t weep because they are my favorite Fiskars. I will be learning a great deal along with my boys. Both of their new schools are going to be a huge change for them as well as me. Afterall, going from a school with a total enrollment of 25 students (at its largest) to one with anywhere between 500 – 650 students is going to be an adjustment. I’m hopeful that having this more regulated schedule will contribute to me being more productive. One of the benefits of being down off the mountain so frequently; I will be able to spend more time at my favorite local yarn store, Longmont Yarn Shoppe. I’m planning on being there most Wednesdays during the school year from 10a – 2p. I’ll be teaching some classes on Wednesday’s as well as facilitating the daytime CGOA Chapter meetings on the 4th Wednesday of each month. 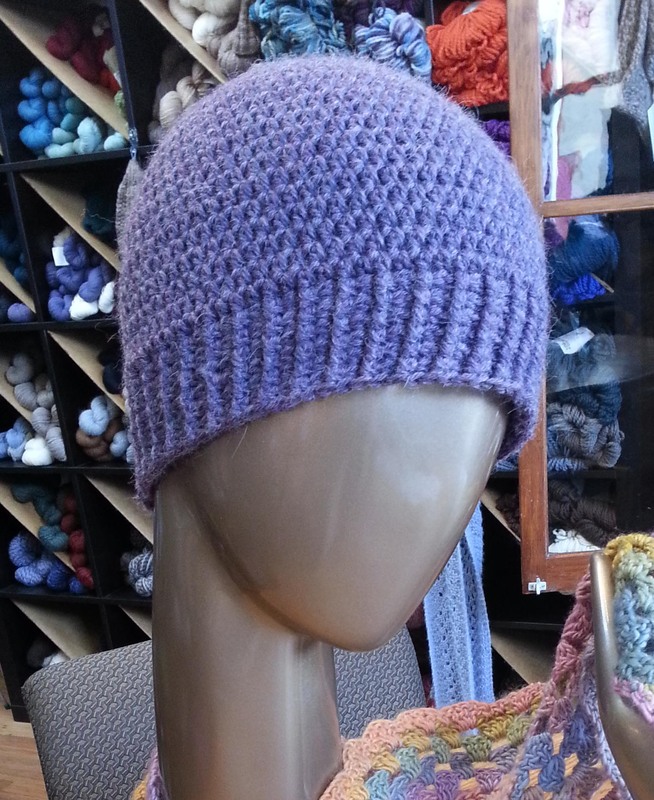 More information about the classes available at Longmont Yarn Shoppe can be found at the website: LongmontYarn.com. I’ll be teaching 4 classes, 2 will be offered on Wednesdays and 2 will be offered on Saturdays. 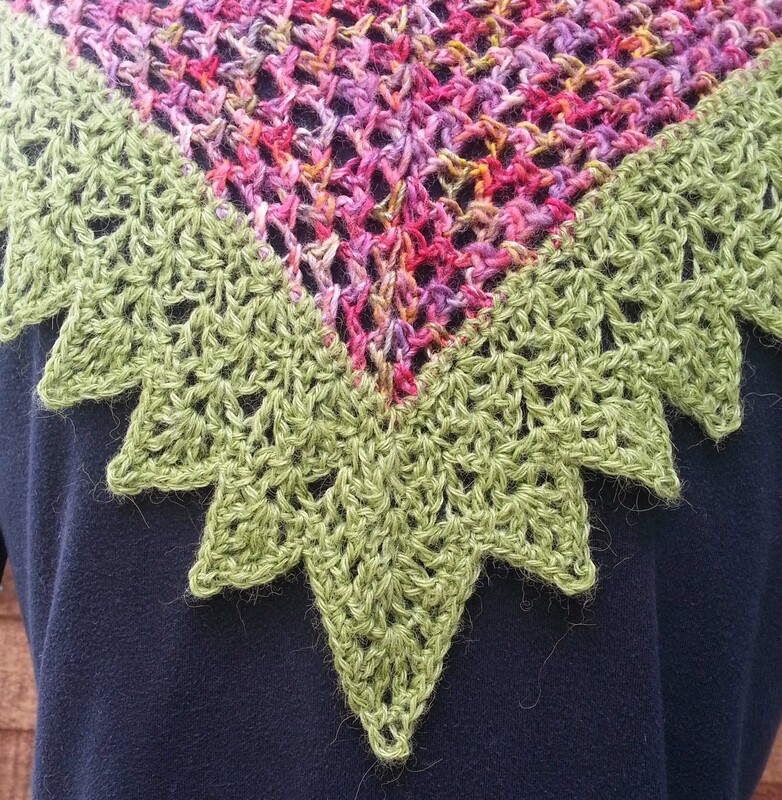 So if you are local to the area, come join me for some fun classes or just stop by Longmont Yarn Shoppe. 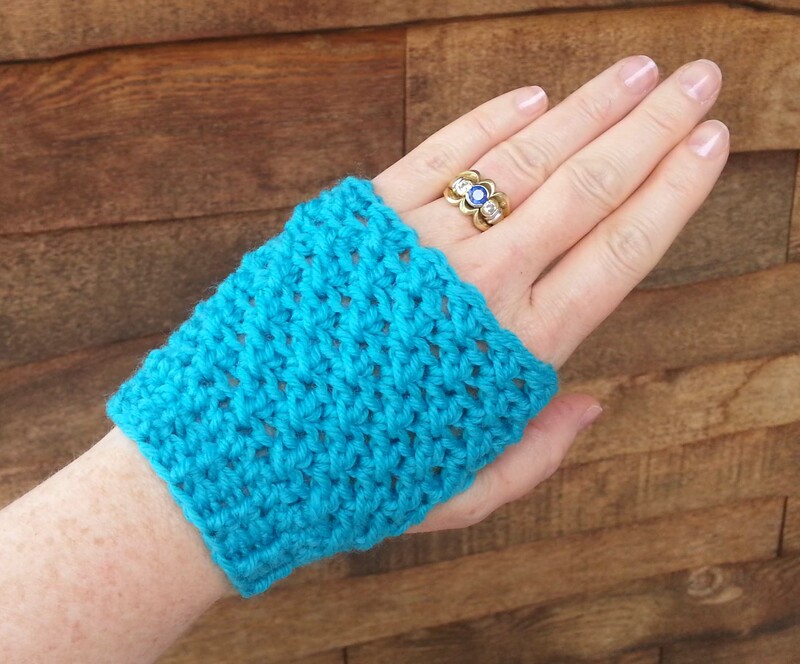 And if you aren’t local but want to take a class with me, plan a trip out to Colorful Colorado and have some crochet fun while enjoying my beautiful state.